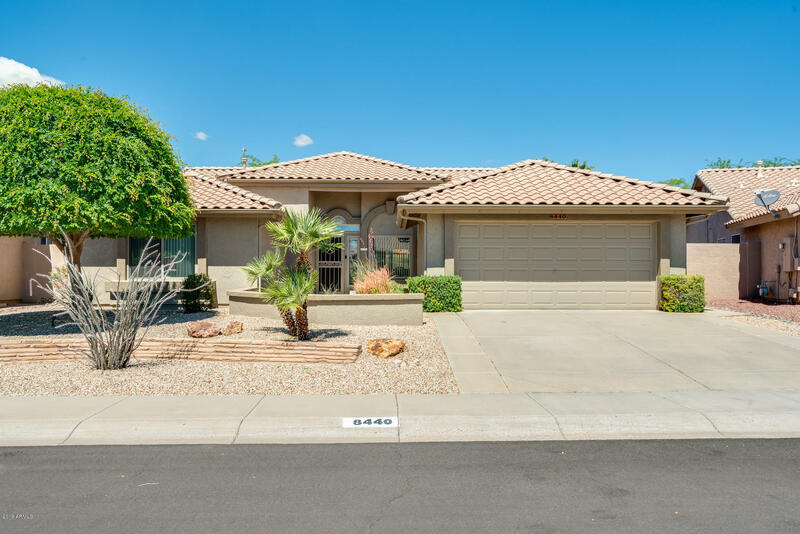 All WESTBROOK VILLAGE homes currently listed for sale in Peoria as of 04/24/2019 are shown below. You can change the search criteria at any time by pressing the 'Change Search' button below. "Enjoy retirement in its best! Desirable golf community Westbrook Village. Close to Arrowhead mall, restaurants. Completely renovated and ready to move-in. Private lot with fence. Open floor plan with formal dining and living room, vaulted ceilings, large kitchen with breakfast bar and kitchen island open to family room. Highly upgraded with plantation shutters, plank tile flooring t/o, custom cabinets, granite countertops, stainless steel appliances including fridge, new tile showers. New light"
"Beautiful Home in the Desired Westbrook Village Community(40+). This home is well maintained and move in ready - A Must See. Squaw Peak model with 240sf enclosed patio with AC. Well appointed features include Anderson dual pane windows, upgraded tile, Granite in kitchen, Tiled showers and much more. Kitchen has plenty of wonderful maple cabinets and workspace. Ample Master bedroom with walk-in closet and upgraded master bath with a walk in shower. The enclosed cooled patio provides year round e"
"Highly upgraded home in elegant Westbrook Village. Granite countertops throughtout. New AC 2015. Custom made plantation shutters for all windows and doors. Wood and tile flooring throughout, crown moulding and upgraded can lighting. Kitchen has counter seating, stylish pendant lighting, undermount sink. Master bath remodeled with dual sinks, granite countertop, modern lighting, walk-in shower and elevated, water-saver toilets. Guest bath has a newer vanity, lighting, mirror and u"
"Perfect lay out on a beautiful interior lot for the seasonal or full time resident. 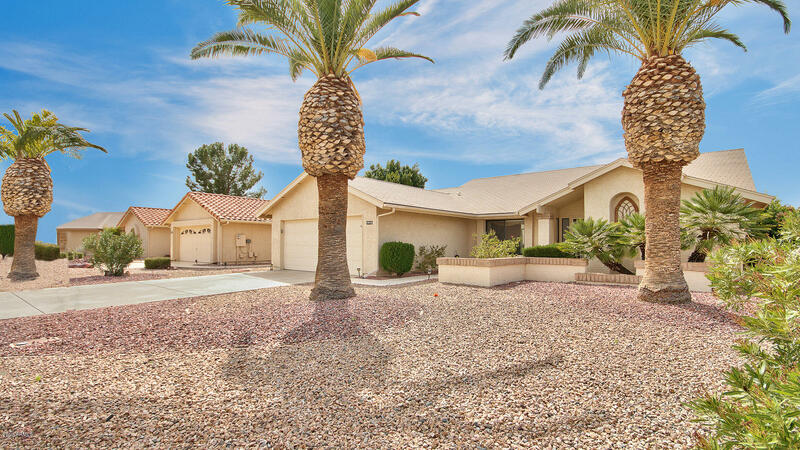 Impeccably maintained with a brand new HVAC system. 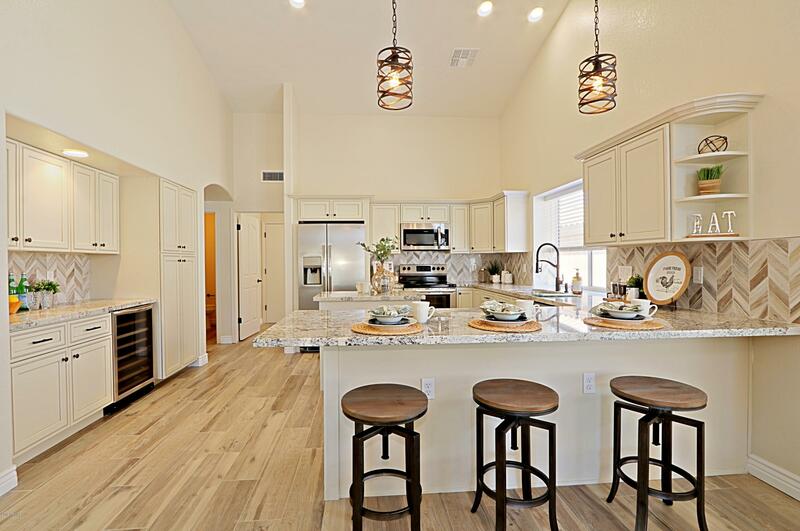 The simple yet functional floor plan provides everything needed for a carefree lifestyle in one of the valley's premier adult communities.Tennis anyone? How about a dip in the community pool, a round of golf, or a class at the rec center? The star of the show is the backyard. 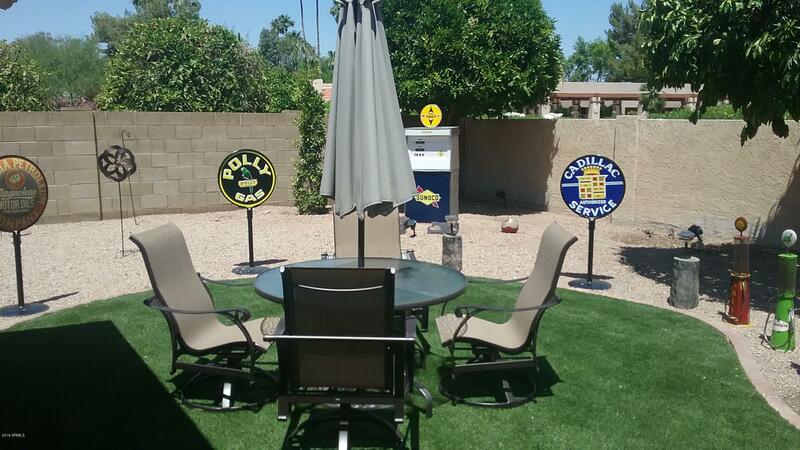 An extended covered patio overlooks a gorgeous, open yard where you will spend time rel"